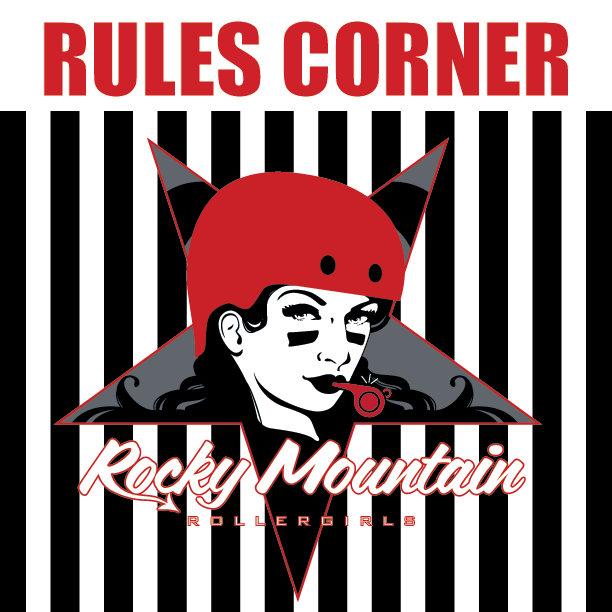 Denver's Original Women's Flat Track Roller Derby League! 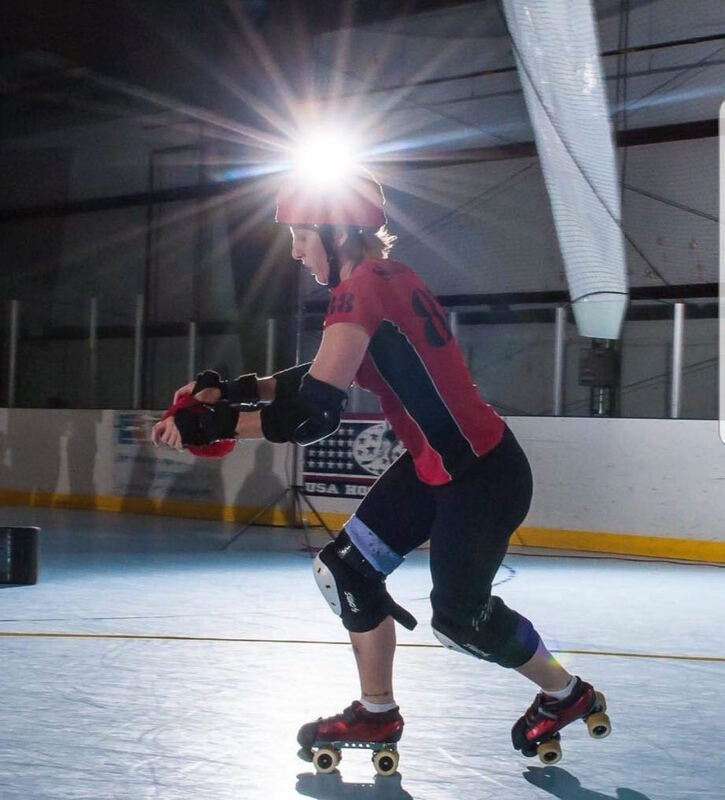 The Women’s Flat Track Derby Association (WFTDA) develops and publishes the rules of Flat Track Roller Derby in Française, Español, and Deutche. Please visit the entire 2019 Rules of Flat Track Roller Derby. This month we will discuss contact penalties, which are outlined in the WFTDA rules section 4.1. 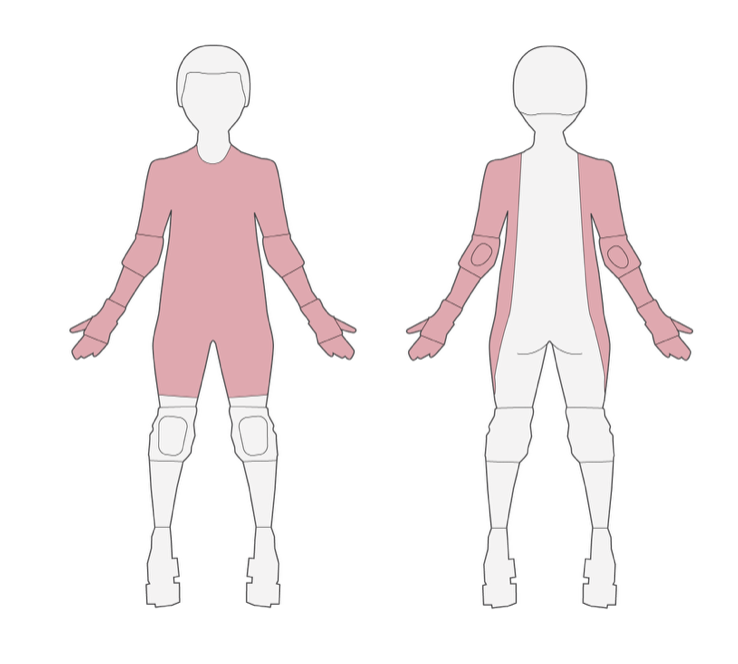 The illegal target zones include a skaters back of the body, head, and below mid-thigh of the legs. If a skater makes contact with another skaters illegal target zone, a referee will blow one whistle tweet and speak in a loud clear voice stating: 1. team color, 2. skater number, 3. what the penalty is. There are times when a skater hits an illegal target zone of another skater and does not receive a penalty. According to Rule 4.1.1, “A skater suddenly presenting an illegal target zone to an opponent, giving that opponent no reasonable opportunity to avoid illegal contact, is considered to be initiating with that target zone.” Situation on the track: Red Team blocker skates into an opposing blocker (Black Team). Black Team blocker is moving on the track in the legal direction. Red Team blocker is skating backwards, but flips around at the last second. The Black Team blocker is unable to stop in time, and slams into the Red Team blockers back. This would normally be a back block, but since the Red Team Blocker presented the illegal target zone just before impact, the back block penalty would not be given. Images of referee hand signals are available online through WFTDA Officiating Cues, Codes, and Signals (Updated December 2018). The Season Kicks Off in Winning Form! Thank You to our Supporters! Happy New Year from Rocky Mountain Rollergirls!